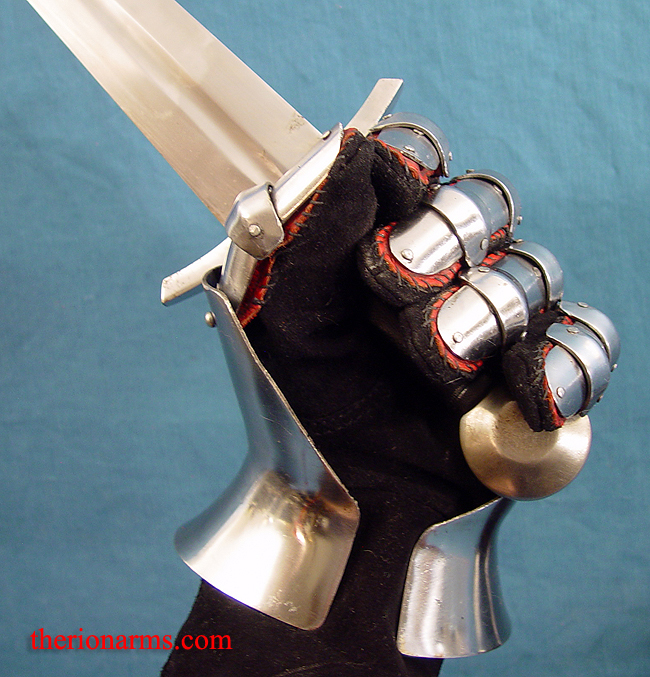 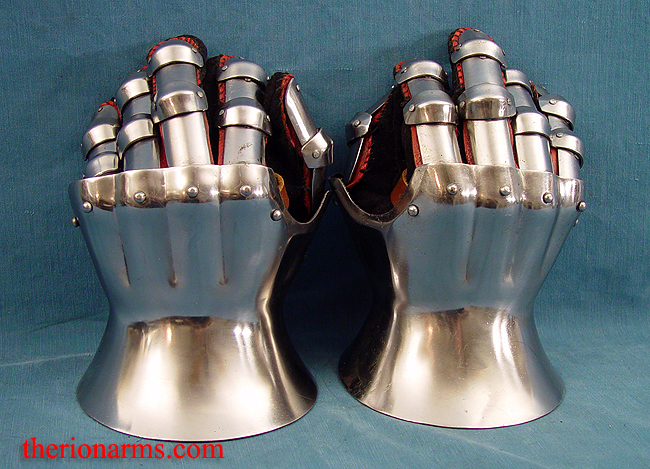 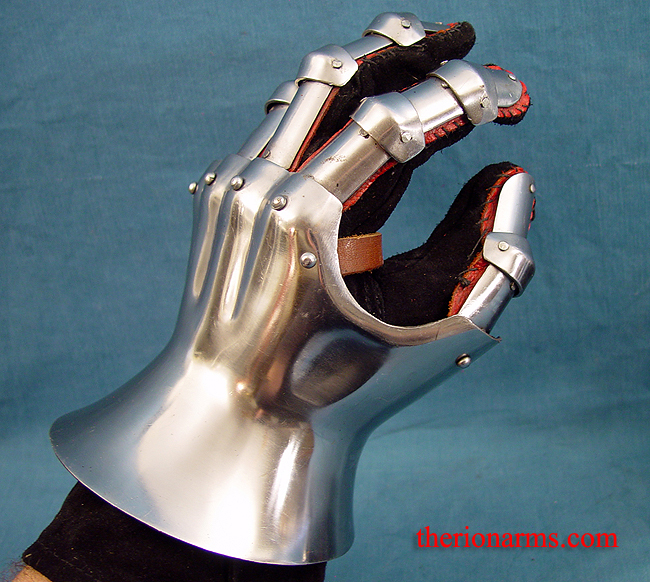 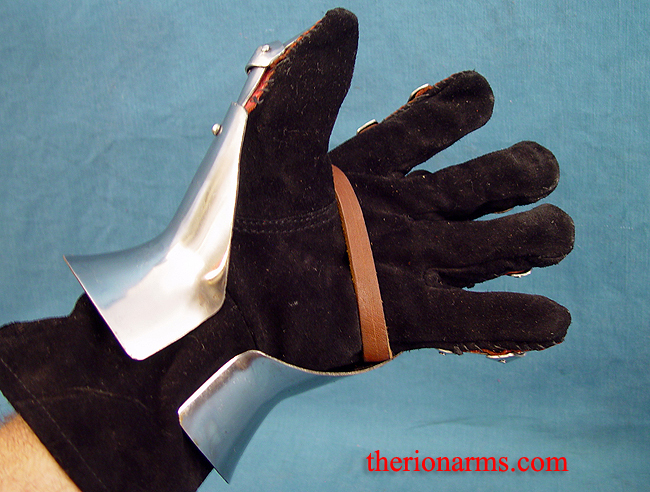 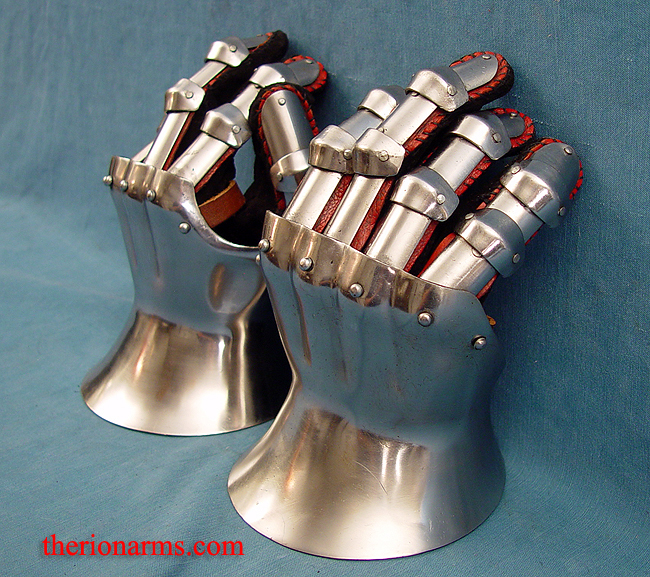 Finger gauntlets from the second half of the 14th century, crafted in 16 gauge mild steel. 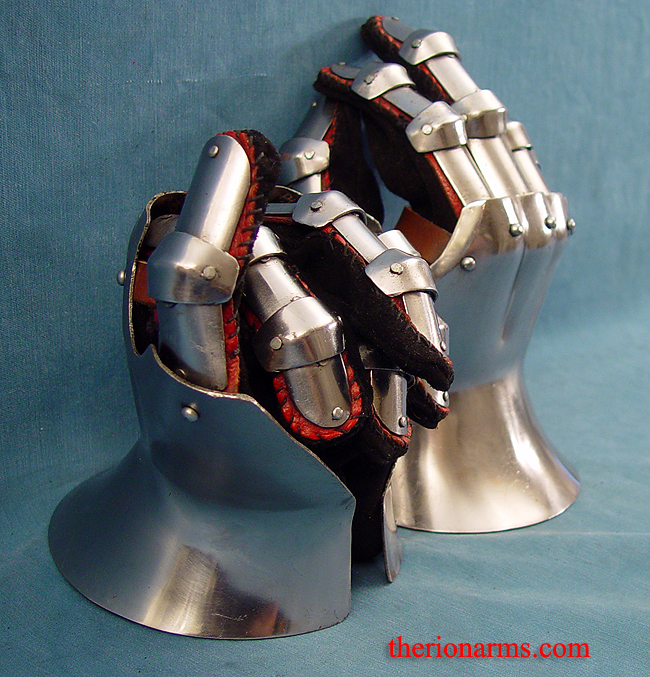 The finger plates are individually riveted to leather tabs that are then sewn to sueded leather gloves. 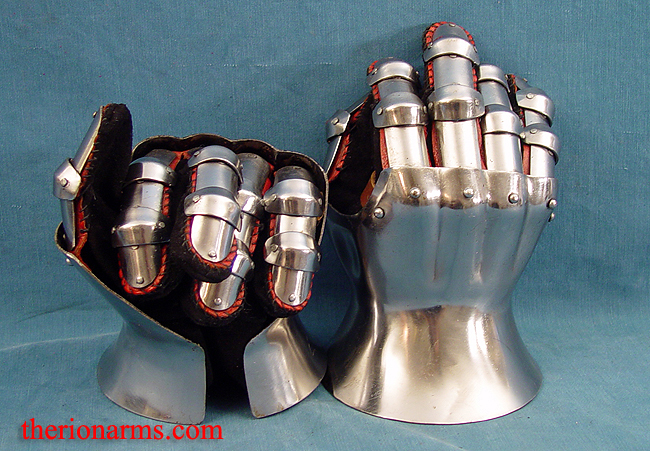 Fits average hands, the size is roughy L/XL. 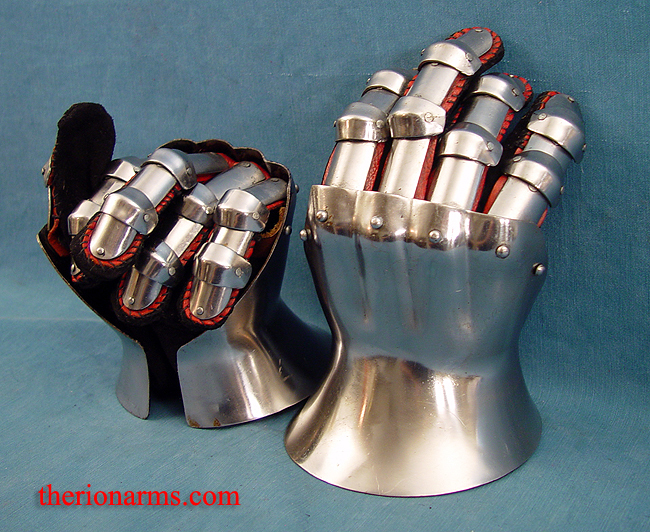 Each one weighs around 1 lb 12.6 oz. 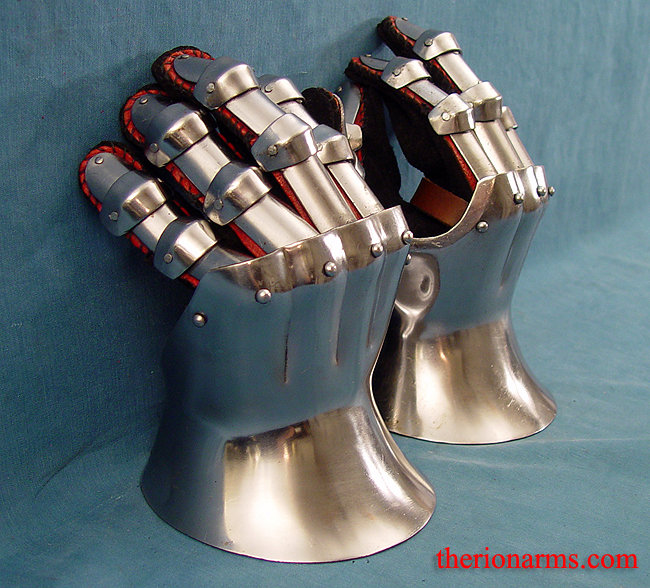 Also available is a closed cuff version.